This is the (unofficial) Harry Palmer movie site. The Harry Palmer movies belong to the "serious spy movies". Len Deighton wrote the novels, but Harry Saltzman (who was also one of the the producers of James Bond) and his team created the name and movie character. "Harry Palmer is the thinking man's James Bond", they said... Michael Caine starred as the "clever Cockney", the spy who wasn't as glamorous as 007, but was certainly more realistic. The first three movies, The Ipcress File, Funeral in Berlin and Billion Dollar Brain, were stylishly made by Saltzman and his team in the Sixties. Much later, two more were made in 1995, Bullet to Beijing and Midnight in St. Petersburg. Unfortunately these films missed everything that made their predecessors so successful, except for Michael Caine, who had become older but was still a superpersonality on screen. These pages are about Harry Palmer and everything around the short phenomenon. Check the movie pages in the menu for posters, stills, lobbycards, radiocommercials, featurettes, trailers, deleted scenes, soundtracks and a lot more. 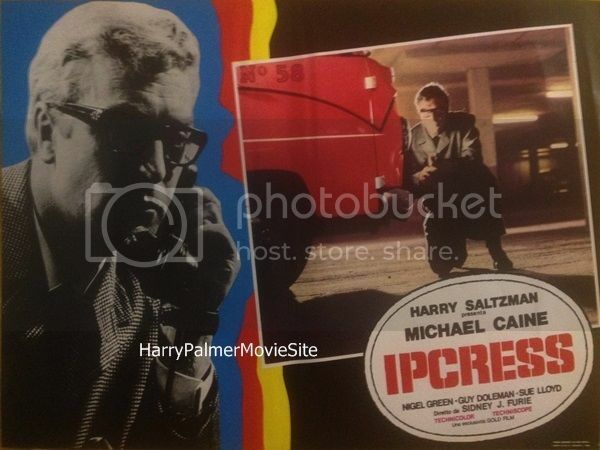 For more general information about the Harry Palmer phenomena, read this article.These pages describe as much as there is available about the movies or give links to other pages. Thanks to Terry Hine, Mark Isaacs, filmcollectief.nl, Peter Hegenbarth and Pim Bergkamp for their great contributions. In case you have material to add, please mail me. House of Ross film location found! In Funeral in Berlin Harry has to go to the house of Ross to pick up information about his next assignment in Berlin, the famous house with its garden full of weed ("Yeah, it's easy to grow"). In a magazine it was stated that the actual address was at 395 Upper Richmond Road in Putney, London, but Geoff Dodd proved this information incorrect and provided the evidence. 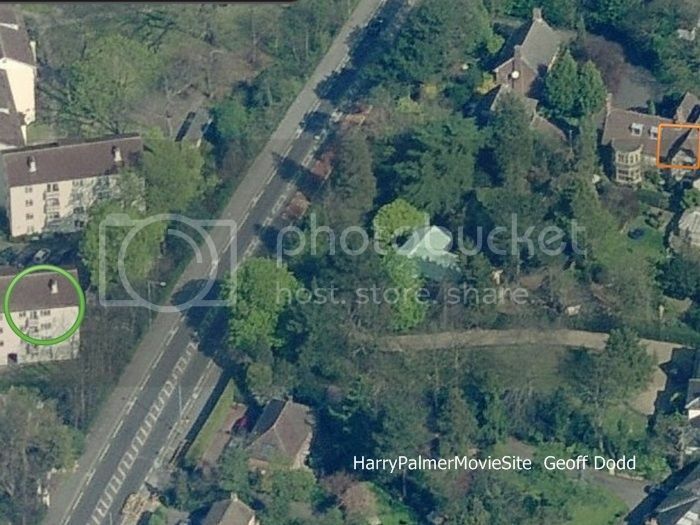 The real location of the house/villa is Henleighs, Kingston Hill, Kingston KT2 in London and it still exists but the location isn't open to the public. On the Funeral in Berlin filmlocations pages you'll find aerial shots and other 'then and now' photos. Thanks tot Geoff Dodd for the great find!